Zaden loves to help me out in the kitchen as much as possible and has become my little sous chef. 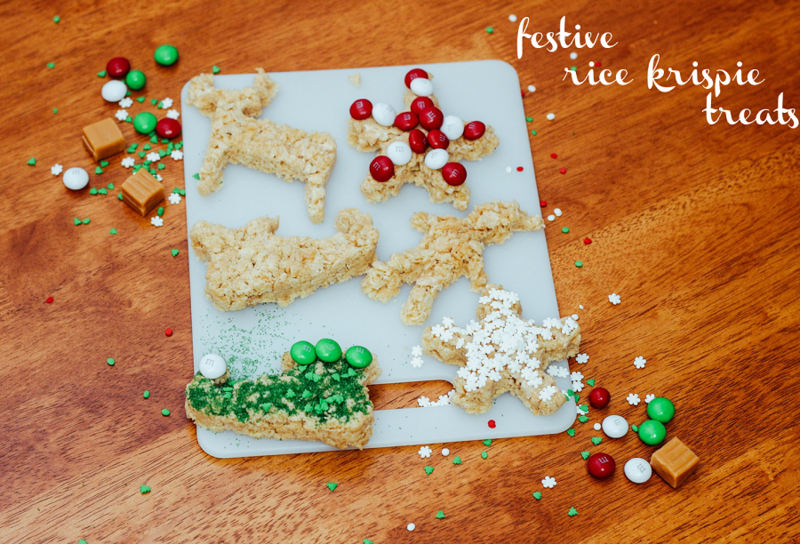 One of our favorite things to make together is Rice Krispie treats (decorated with LOTS of sprinkles of course). 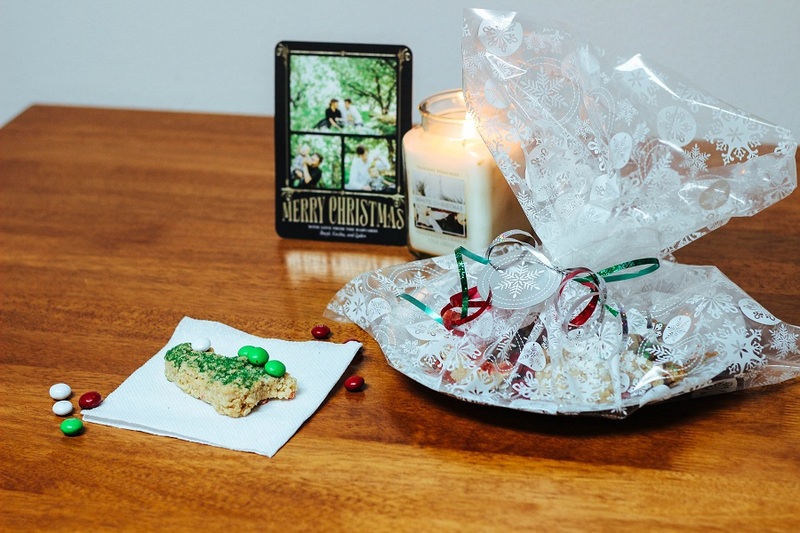 These festive Rice Krispie treats made with Kraft Marshmallows are the perfect gifts for friends and neighbors this holiday season. Isn't his cheesy smile in the first picture awesome? 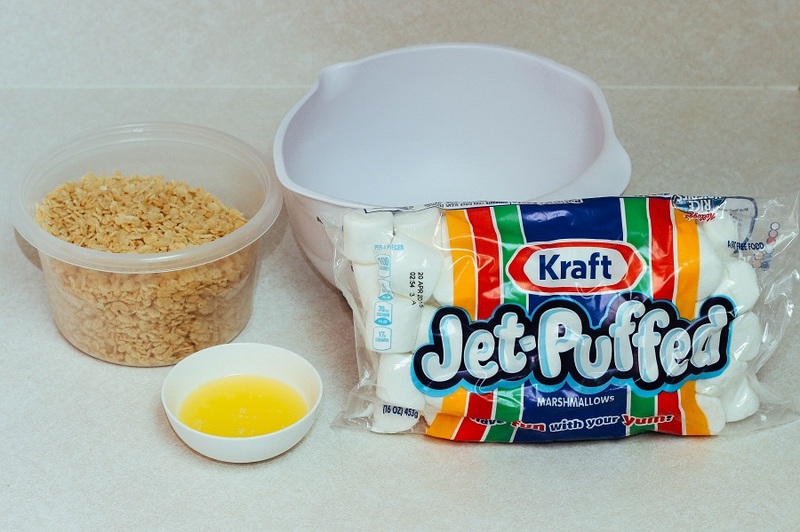 In order to make these delicious Rice Krispie treats we needed to make a run to our local Walmart for Kraft Marshmallows and Kraft Caramels. I personally love drizzling my Rice Krispie treats in warm caramel. 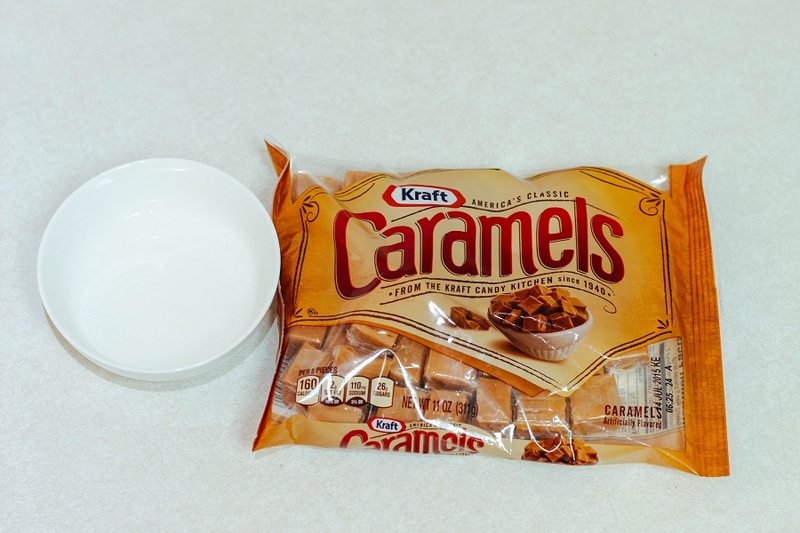 We found the Kraft Marshmallows in the baking aisle and the Kraft Caramels in the candy aisle. 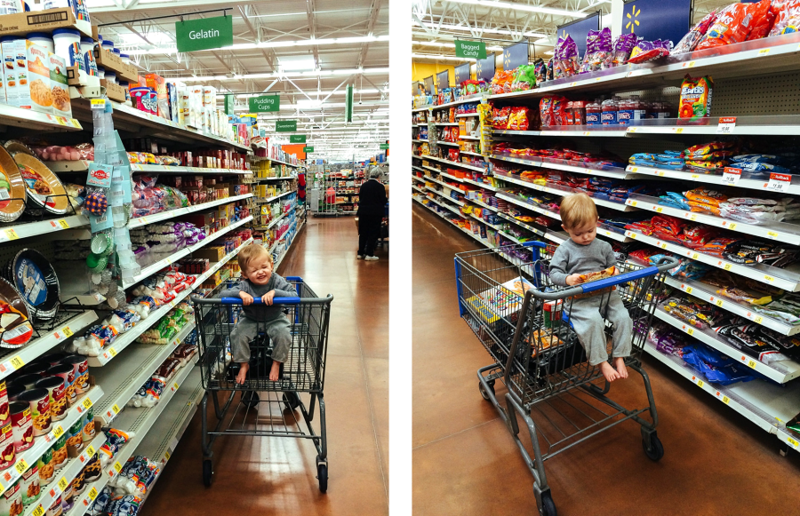 As you can see in the photos above Zaden was excited that we were putting all of these tasty items in our shopping cart. Turn on stove and set on low-medium heat. Begin removing caramels from package until you have gone through entire bag. 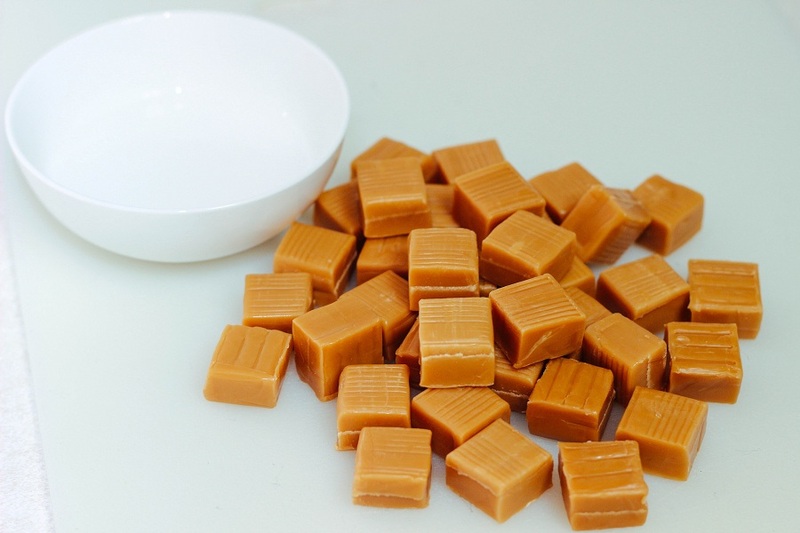 Place water into pan and caramels and stir frequently so caramel mixture doesn't burn. Continue stirring until caramels are completely melted. Remove pan from burner and transfer into a small bowl or into an icing container for easy drizzling and decorating. Melt butter in a large saucepan over low heat (or microwave in a microwave safe dish for 30-45 seconds like I did). Add marshmallows and cook until marshmallows are completely melted. Remove from stove top. Add Rice Krispy Cereal and mix well. Spray a large cutting board with cooking spray and press mixture onto cutting board. Let stand for 3-5 minutes or until they are cool enough to touch. 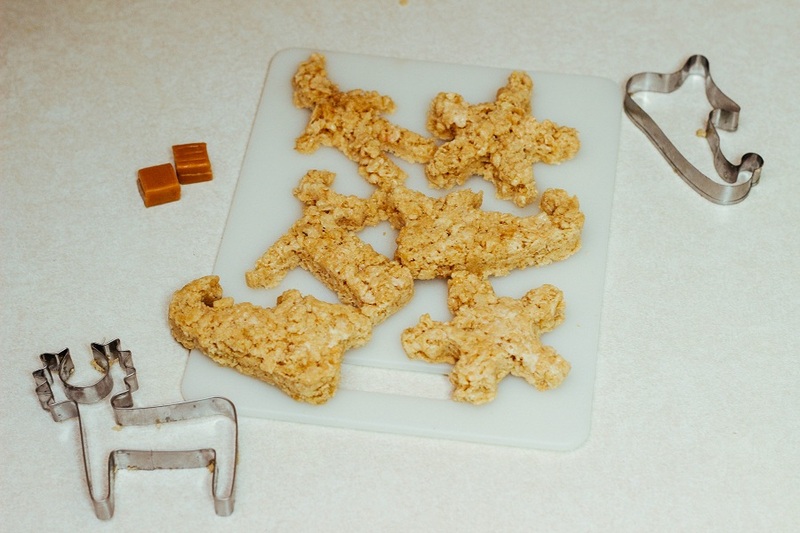 Begin cutting your rice krispie treats into fun shapes with cookie cutters before mixture gets too hard. Decorate with Kraft Caramel sauce, sprinkles, chocolate, or anything your heart desires. We had so much fun as a family decorating these treats for a few of our neighbors. Zaden ended up doing a lot more eating and tasting than decorating. However, the entire time he was having a blast making a mess and sneaking a candy or two in the process. 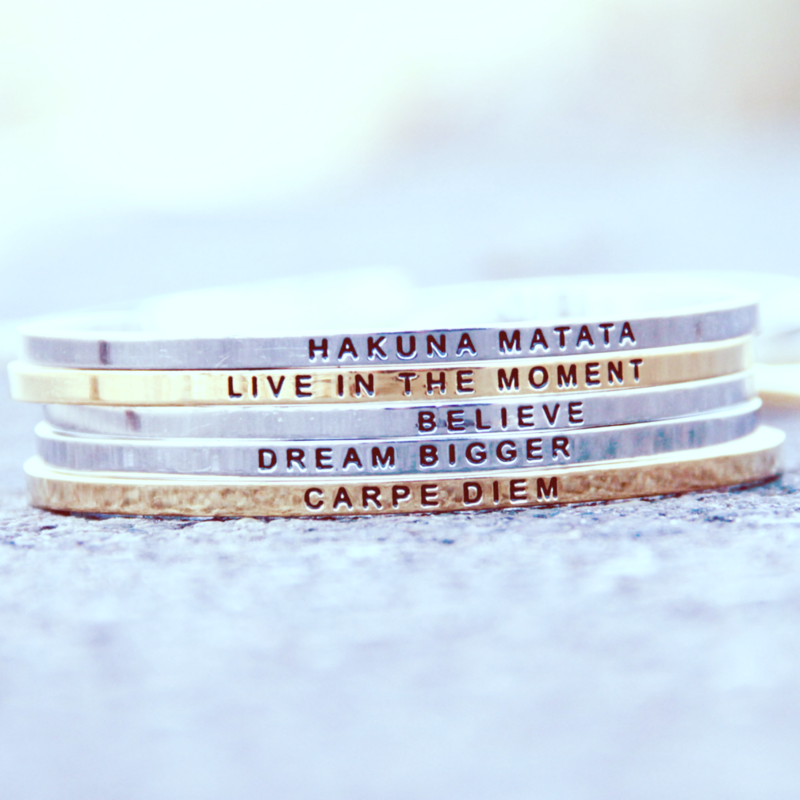 I don't know about you guys but I wish I had enough money to get all of those I cared for nice gifts during the holidays. 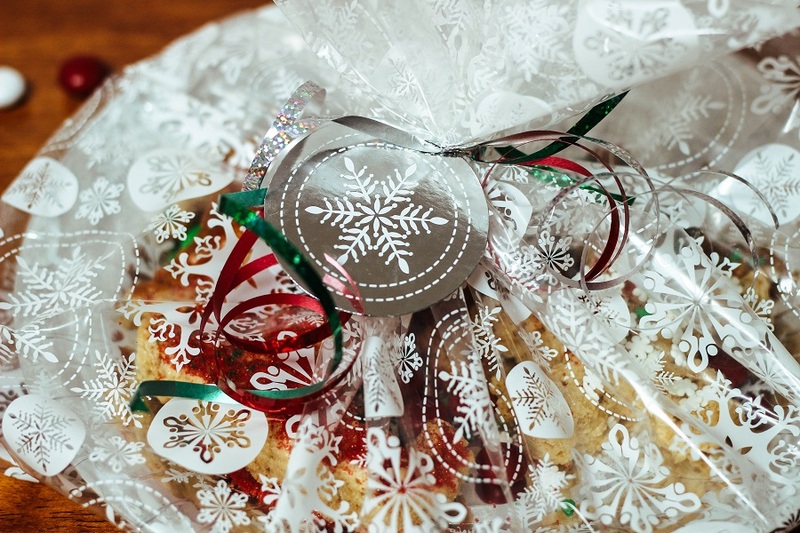 However, that isn't reality and making a treat is a great way to show people you care without breaking the bank. Not only do they save you money but an activity like this can be a fun family night activity.